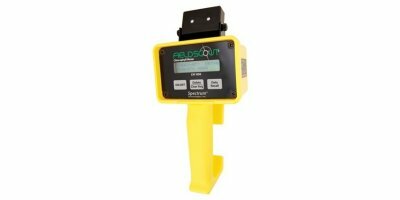 FieldScout CM 1000 Chlorophyll Meter; “Point-and-shoot” technology to instantly measure relative chlorophyll content; Detects stress earlier than visual monitoring. Technology based on an exclusive patent license from NASA. Laser guides outline the edges of the measured sample area. Calculates and displays a running average for multiple readings. Connects to any GPS receiver that has a serial output option*. Equipped with internal data logger and RS-232 port. Records 3,250 measurements (1,350 with added GPS/DGPS option). Configure and download meter with FieldScout® software (not included)**. 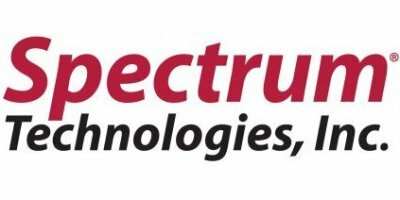 Compatible with SpecMaps™ online web-mapping application. Includes hard carrying case and batteries. Receptor: (4) photodiodes; (2) for ambient light and (2) for reflected light from the sample (leaf). Measurement Units: Index of relative chlorophyll content; 0 to 999. Measurement Interval: 2 seconds per measurement. Data Logger: Requires software and PC interface cable; Capacity:1,350 measurements with GPS/DGPS; 3,250 measurements without GPS/DGPS; nonvolatile memory. Battery/Life: 2 AAA batteries (included); approx. 3,000 measurements. No reviews were found for FieldScout - Model CM 1000 - Chlorophyll Meter. Be the first to review!